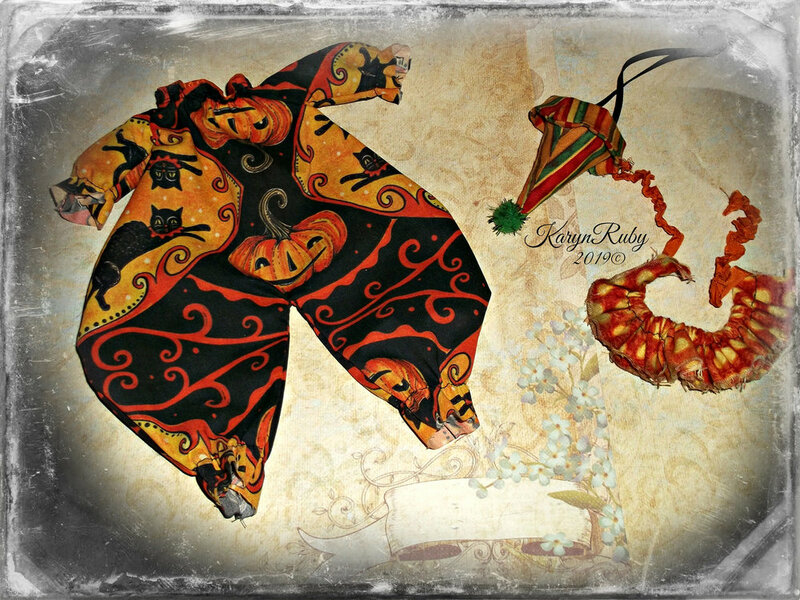 Karyn Jarvis is the imaginative maker behind KarynRuby Designs. 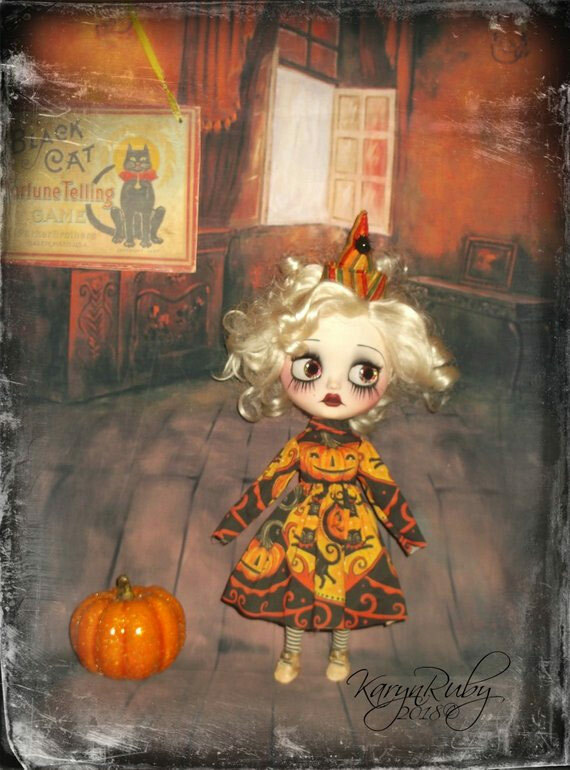 With a lifelong passion for both design and vintage style, she loves combining the two and blending Halloween themes into her art. Her creativity comes in many forms, one of which is a passion for making bears and designing Blythe Doll attire. 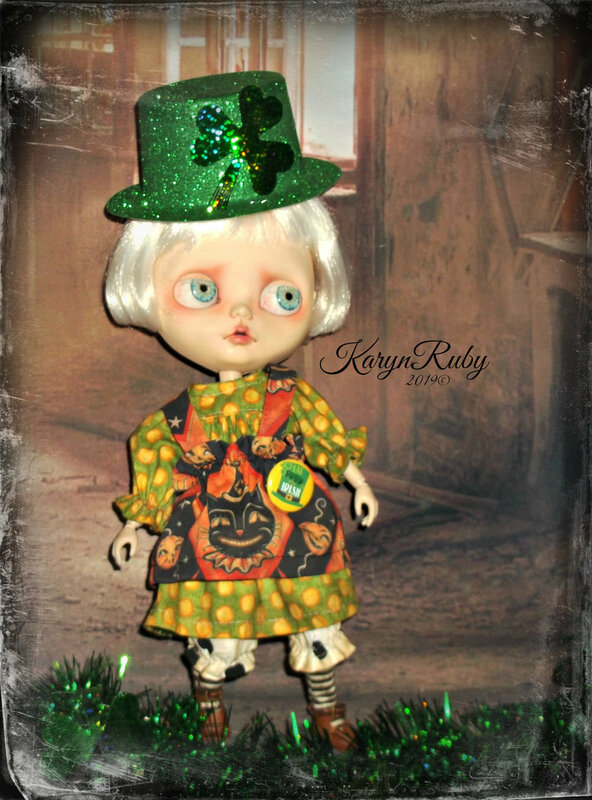 When this iconic doll, with the big eyes and exaggerated head, began popping up all over Etsy, she decided to adopt a few custom Blythes and found inspiration in designing unique clothing for each. As interest grew, her passion developed into a home-based, doll lover’s fashion house where she designs and creates unique attire for Blythe enthusiasts! 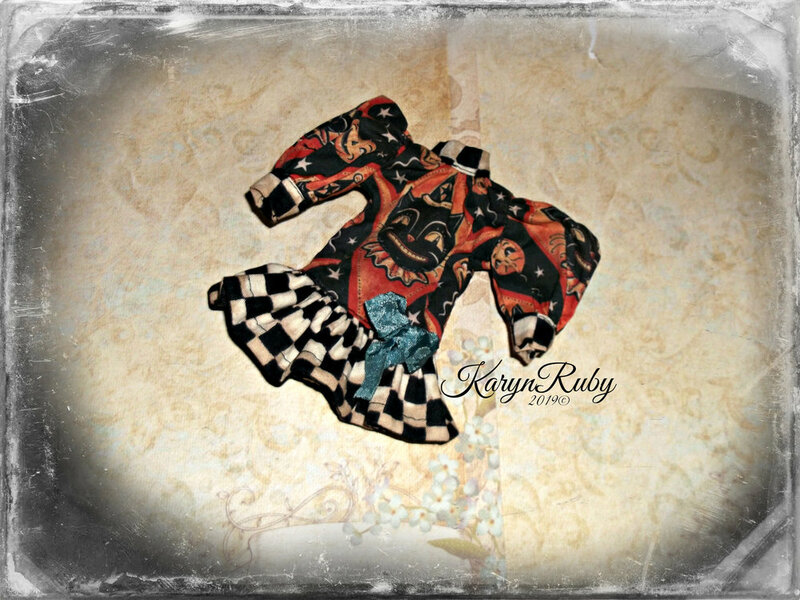 Karyn sews everything herself to ensure that she’s offering the best quality to collectors. From head to toe, she makes the dresses, pinafores, bloomers, hats and even the shoes! Inspired by vintage attire, she chooses fabrics and styles that fit the Victorian era, often with a spooky Halloween and circus-like twist. Her fashions are touched with a subtle patina for that added vintage appeal. Karyn is grateful for this blessing to be able to awake each day and design items for this little beauty wonder! Halloween is her favorite time of the year! Since her mother was born on the 31st and Karyn, just a few days before, they always celebrate their Birthdays together and share a love for spooky things. Carnival clowns with a creepy touch and black cats, one of her grandmother’s favorites, are frequently expressed in her work. Her artist husband Jeff is her biggest fan! Together, they share an old house, built in 1905. It’s here where they surround themselves with their love for antiques and their vintage toy collections, which offer daily inspiration. One day, when hunting for wonderful, spooky textiles to blend into her Bythe Attire, she found Johanna’s Spoonflower fabric on Etsy! It was Johanna’s black cats that caught her eye, and she purchased several pieces which she adored. From there, Karyn found Johanna Parker Design on Spoonflower which opened up a medley of spooky-sweet design options for her to choose from. 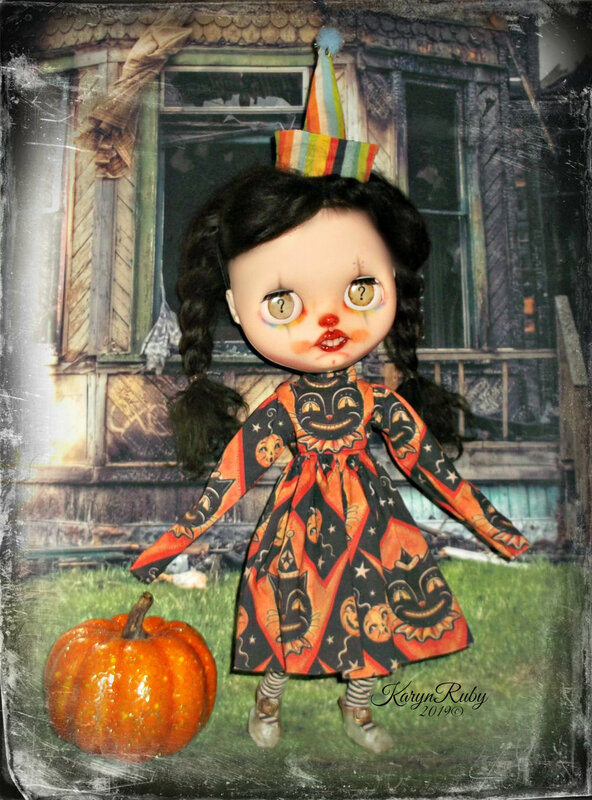 Along the way, a Halloween-loving Blythe enthusiast shared a KarynRuby Designs fashion photo with Johanna, featuring a JPD-dressed doll. Johanna was immediately smitten and a creative connection was made! The two are excited to collaborate on these niche Blythe fashions. For Karyn, Johanna’s prints really inspire her designs, and for Johanna, Karyn’s doll garments and assemblage have Johanna’s creative wheels spinning with new fabric designs in mind. What a playful pairing!